The genuine salt ramen you can eat at the roadside rest area at Hakata Island, the birth place of Hakata salt. 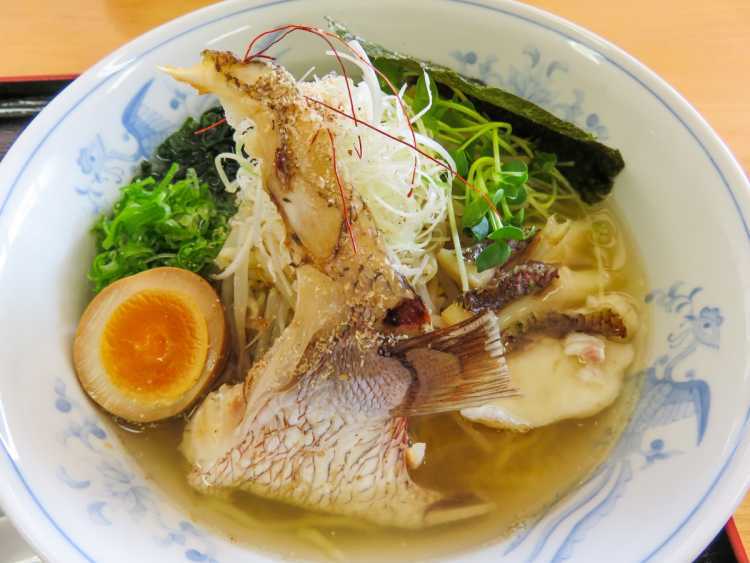 Its soup made up by the specialty salt and sea bream is superb! I recommend 'Tai-shio Ramen'.